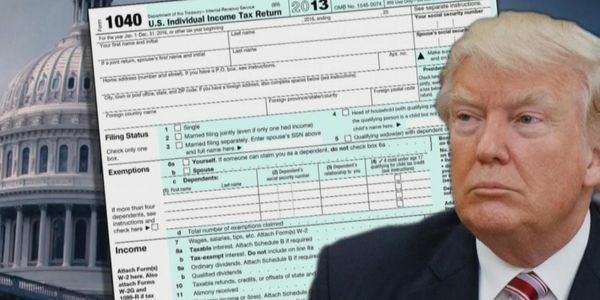 The Trump administration has now gone all-in as they fight the Democratic-led Ways and Means Committee's formal request to the IRS to turn over the last six years of Trump's taxes. Trump and his surrogates are baselessly claiming that not only is the request illegal, but that the American people don't want the information to be released. Clearly, these excuses couldn't be further from the truth. The request, made by Democratic House Ways and Means Committee Chairman Neal, was absolutely his legal prerogative. It was made in compliance with Section 6103 of the tax code, which states that, "Upon written request from the chairman of the Committee on Ways and Means of the House of Representatives…the Secretary shall furnish such committee with any return or return information specified in such request." The law makes no exemptions, and in the United States, the president is not above the law. The law, said Senate Finance ranking member Ron Wyden (D-OR), "is crystal clear — the Treasury Department must provide tax returns to the Ways & Means and Finance Committees when the chairman requests them." But more insidious, the Trump camp is claiming that the matter was already litigated during the election, and that winning the presidency by three million fewer votes than his opponent was somehow a mandate to put the issue to rest. Except Trump did promise to release his tax returns after he was done being audited, according to his claim during the campaign. That doesn't mean it goes away after the election; it means if he had a modicum of integrity, he would do what he said. Otherwise, it clearly looks like he considered the election license to just say whatever lie was necessary to get elected. And if it wasn't already bad enough that Trump refused to make good on his promise of releasing his tax returns after taking office, when the issue resurfaced, Trump fell back on the same years-old excuse, that he was "under audit." But once again, it bears repeating that the president is indeed allowed to release his tax returns while under audit, just like presidents have done for decades before him. But regardless of his myriad of excuses, none supersede the law. We, the undersigned, demand that the IRS comply with Congress's legal request to supply six years of Trump's tax returns, because no one – including the president – is above the law.